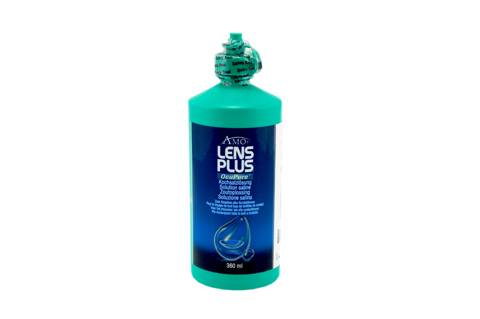 AMO Lens Plus Ocupure is a sterile saline solution, specially designed for the rinsing of soft contact lenses. Furthermore, Lens Plus Ocupure matches the pH conditions of the eye, making them comfortable and soft on the eyes, and is also suited to dissolving protein tablets. Saline solutions have an antimicrobial effect that is designed to remain constant over time, thanks to particular preservatives. The AMO Lens Plus Ocupure solution has an innovative protective measure as these preservatives degrade and become neutral when subjected to light. This prevents any irritation of your eyes as a result. The solution comes in a special PhotoProtect-Bottle that blocks all light, preventing these preservatives from being degraded prematurely. Thus the solution is reliably protected from the light, ensuring maximum protection and efficacy of the Ocupure saline solution.